Whitelegg is a long established, family-owned, engineering company serving a variety of market sectors in the UK and Overseas. Whitelegg has exported to over 100 countries. 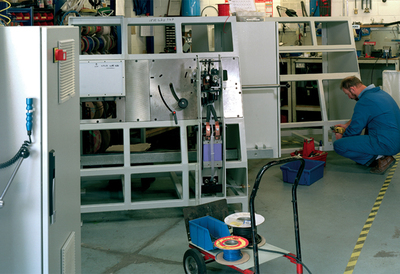 The supply can range from a complete workshop of multiple machines to a hand tool. Wire bending and welding machines and spring machines have created several niche markets such as lampshade frame machinery where Whitelegg machines produce over 80% of Europe's lampshades. Industrial filters (made of rings, stars and rectangles), Shop Fittings – wire stands, racks, shelves and trolleys, are other important markets. The company supports a network of approved agents across the world and is proud of its high level of after-sales service for both repairs and spare parts, of which a large stock is maintained. Whitelegg’s own engineering works are located near the Sussex head office. Bi-annually Whitelegg show their machinery at exhibitions in Germany, the USA and the Middle East. New markets are researched by senior staff members taking part in trade missions organised by professional associations and the Chambers of Commerce.